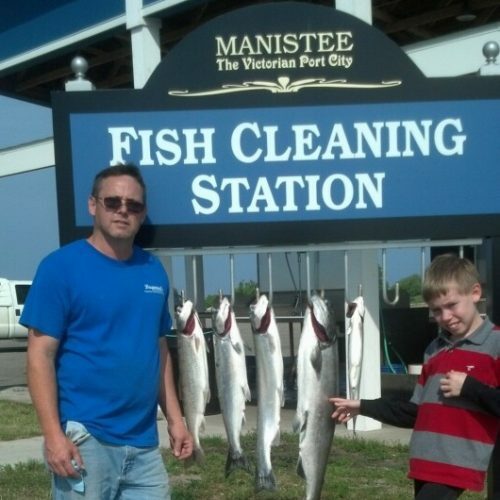 Captain Darrin Howard has been an avid fisherman for over 35 years. With years of experience and a 50 ton master captain license, Darrin has the knowledge and passion to lead a successful day on the water. As captain and owner, he aims to treat his crew and the environment with Reel Respect. 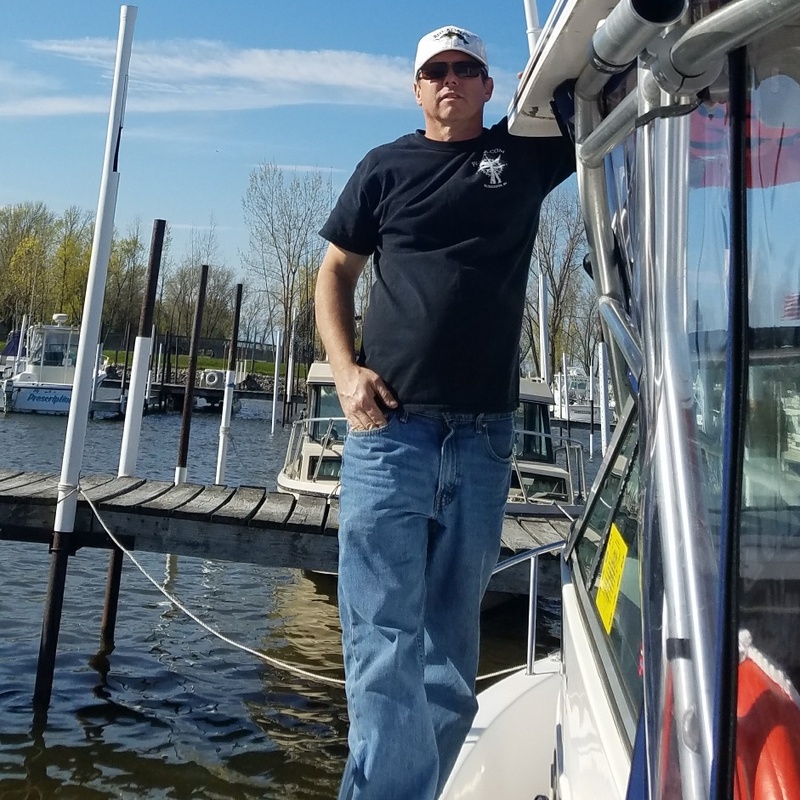 Safety for all is a priority and Darrin is a proud member of the Michigan Charter Boat Association (MCBA). Reel Respect is a 2001 Proline 26 Walk that is a 27 1/2 foot long offshore fishing vessel. Built with an inclosed head within the cabin for your comfort and privacy. It has three newer outboard four stroke engines that are very quiet and fuel efficient. 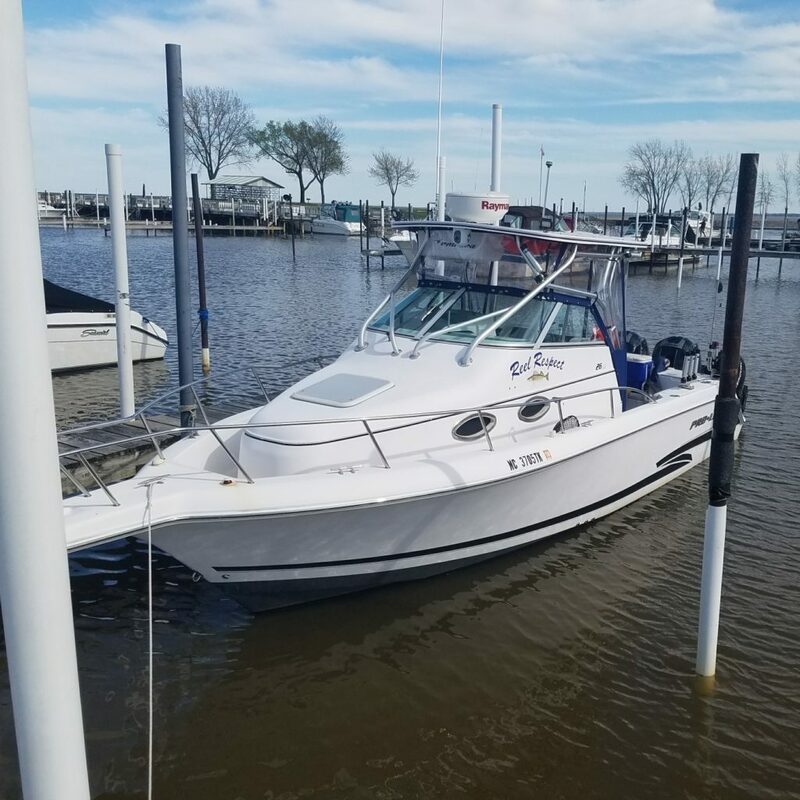 Reel Respect is a boat that is large enough to be comfortable but is also capable of being trailered to far away destinations such as Stannard Rock, Lake Superior, MI and Gloucester, MA. Reel Respect has the newest, latest and greatest electronics, including a night vision camera, radar, two gps fishing units, and autopilot. Reel Respect’s home port is Linwood Beach Marina. 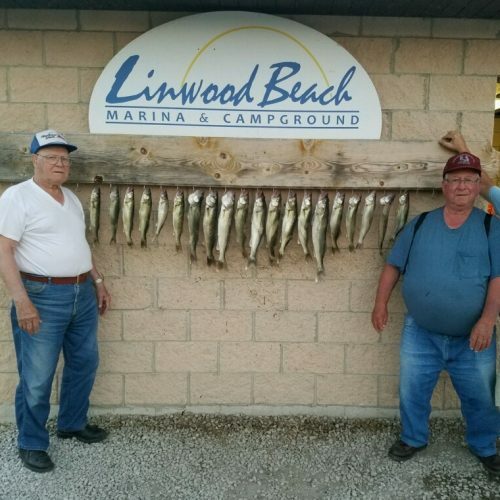 A popular sport fishing destination. Saginaw Bay is one of the best walleye fisheries in the world right now. Spring and summer are best for walleye trips and perch in the fall. 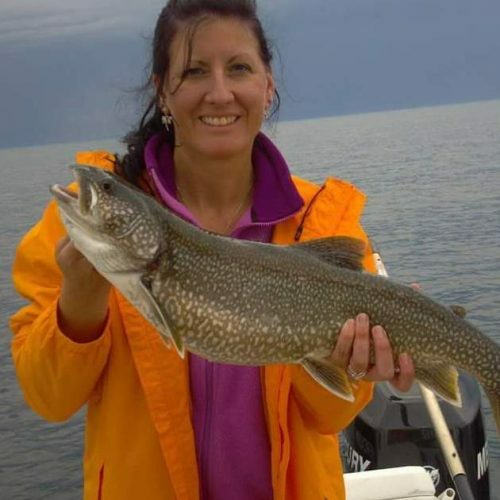 A unique and memorable jig fishing adventure 40 miles off the coast in the icy waters of Lake Superior. Stannard Rock Lighthouse, which has the nickname “Loneliest Place in the World”. 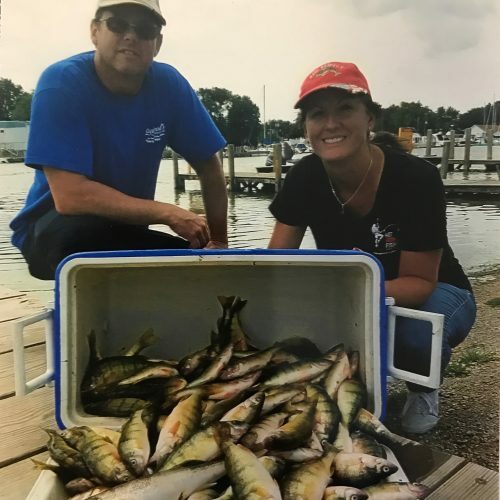 Reel Respect’s second home for walleye and perch. Captain Darrin grew up fishing on these waters. Lake Erie is one of the best fall perch fisheries in Michigan. Salmon fight like no other fish in Michigan. Reel Respect is ready for the battle. Salmon are great to eat and an adventure to catch! Join us in the late summer to fall for an exciting trip on Lake Michigan. Travel to Massachusetts for the fishing adventure of a lifetime. No fish battles like a bluefin tuna. These fish are capable of weighing over 1000 pounds and being over 120 inches long. 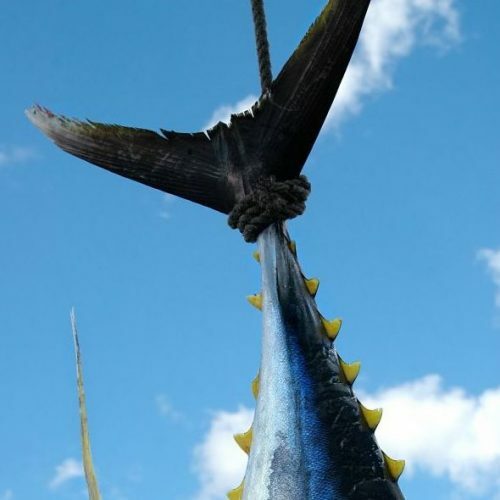 This is a week long trip so that we can increase your chances on this mighty catch.